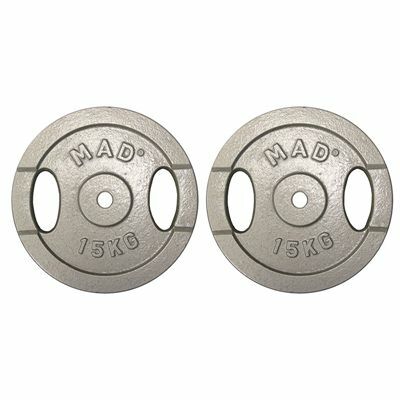 The Fitness Mad standard weight plates are sold in pairs and weigh 15kg (33lbs) each. They are compatible with 1” (25.4mm) bars and feature double hand holes that ensure easy moving and adding of weights. Each of those two cast iron plates is 32.5cm (12.8") in diameter and has a hammertone finish for improved durability. 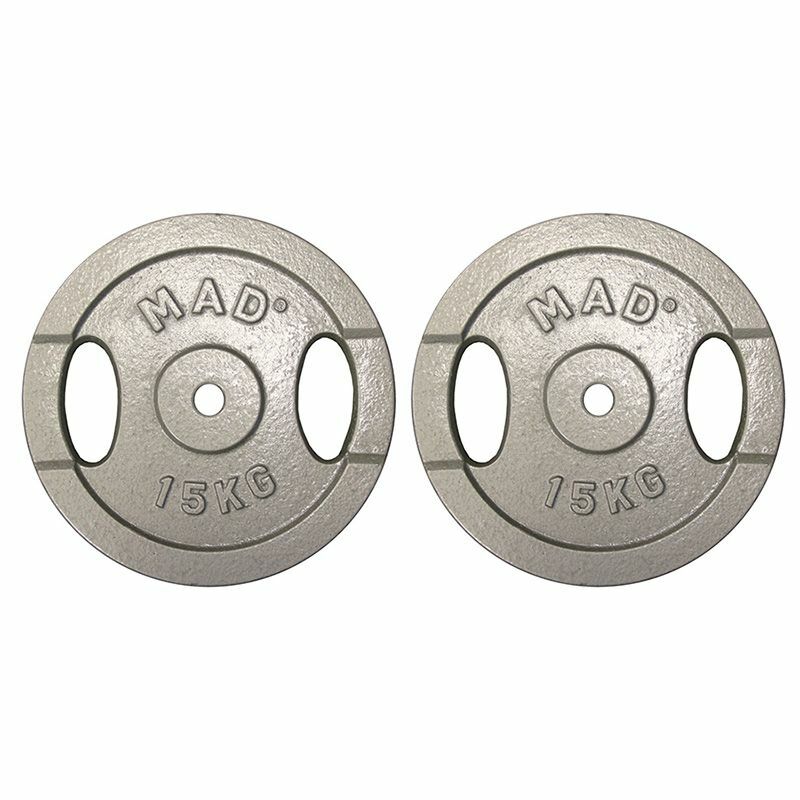 for submitting product review about Fitness Mad 2 x 15kg Standard Weight Plates.